Many children of a certain generation have a warm place in their heart for classic Nintendo games like Mario and Zelda. As adults, they’re spending to rediscover it. Enter the glass door to Save Point Video Games, and you leave a nondescript University Area strip mall behind, and return to the 90’s. 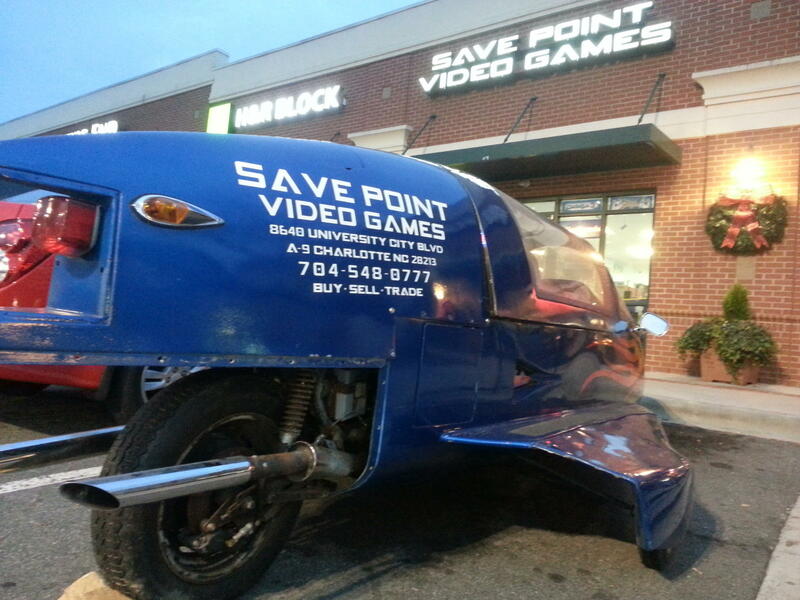 The entrance to Save Point Video Games, and the store's official vehicle--an autocycle. Nintendo, Super Nintendo, and Sega Genesis cartridges line the store’s shelves. Synthesized rock blares from X-Men the Arcade Game against one wall. On a screen against the other wall, 35-year-old Cameo Stevens is rediscovering an old love. 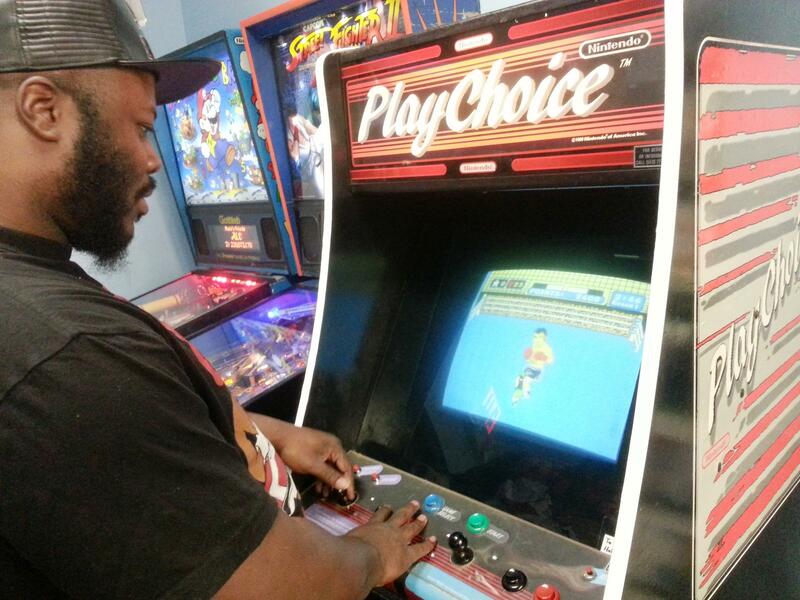 He’s playing Mike Tyson’s Punch-Out! for Nintendo. He mashes the joystick. His character on-screen dodges and counters the telegraphed jab of Glass Joe. Cameo Stevens plays Punch Out! “Still the same as I remember, yeah, man!” He laughs. Stevens saw the storefront on his drives to work, and, curious, walked in today. It’s been over 20 years, since he played this game, he says. The nostalgia in Stevens’ voice is the same emotion that has driven a surge of interest for old Nintendo, Super Nintendo, Sega Genesis and other 1980s and 1990s consoles and games. Wilder Hamm (right), the owner of Save Point Video Games, accepts a game trade-in from a customer. “Nostalgia really drives that business,” says Bryan Lewis, owner of G2K Games, which sells new and used modern and classic video games. Lewis owns nine stores in the Southeast U.S., and says the sale of classic games have steadily grown at his stores over the past decade. Games can range from a few dollars to a few hundred, depending on popularity and scarcity. It’s an attractive demographic, says Scott Rigby, a psychologist and president of video game consulting firm Immersyve. “They’re at the height of their careers; they’re in their 30s and 40s, and so they can kind of make these purchases,” Rigby says. Businesses are latching onto their nostalgia. In 2013, Nintendo launched its NES Remix series, a mash-up of old games, including Zelda, Dr. Mario, and Donkey Kong, for its new console, the Wii U. Bars in New York, San Francisco, and Philadelphia specialize in beer and retro games. In the Charlotte area, Save Point is one of at least nine stores selling old games; for several, it’s their primary business. Most opened in the past three years. 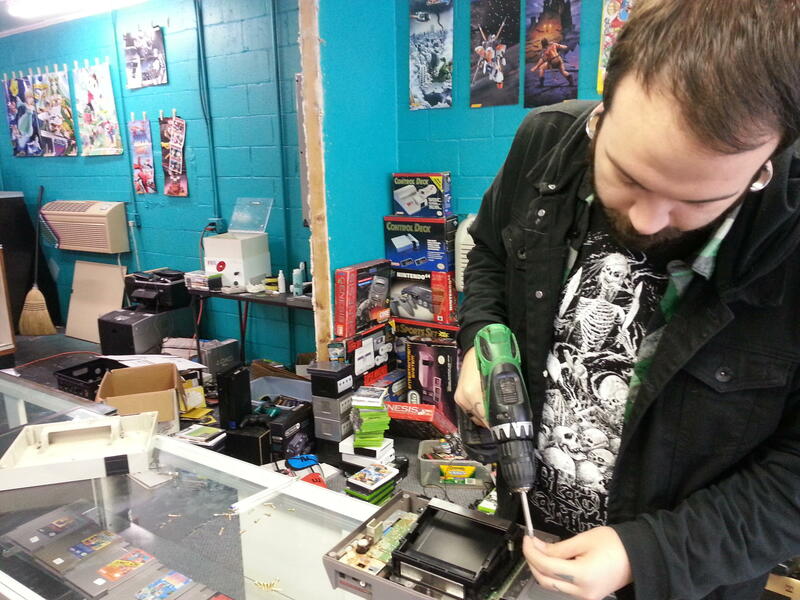 In his store Video Game World in Huntersville, Nick Chambers repairs an old Nintendo. He unscrews the plastic case, replaces a broken part, and screws it back together. The owner of Video Game World, Nick Chambers, repairs a broken Nintendo. He has about another 40 awaiting repair. Chambers says his demographic, in this family suburb, is slightly different. Parents are shopping for their kids. 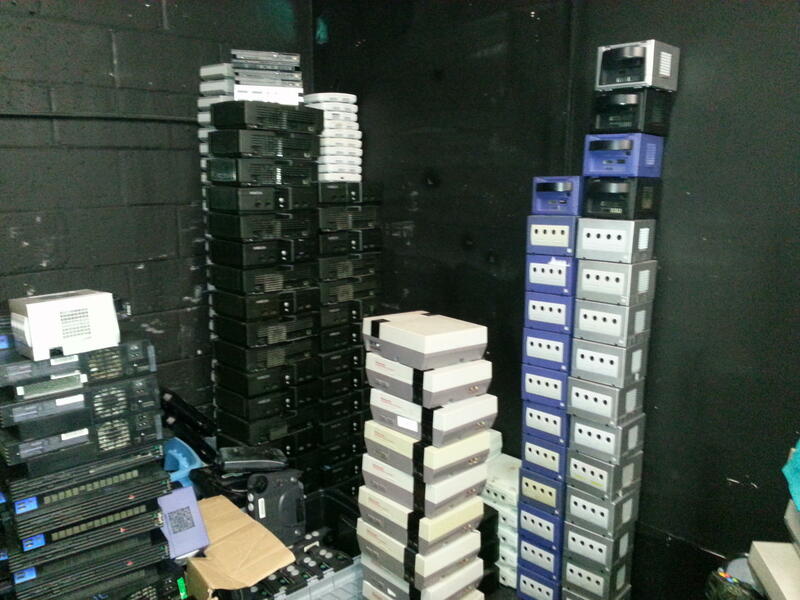 Video game systems needing sorting or repair, including Nintendos, Xboxes, and Gamecubes, sit in stacks in the backroom of Video Game World. The owners of the stores, Chambers and Hamm, share a similar story. Both grew up playing video games. After college, both started flipping video games on Craigslist for extra cash, while they worked other odd jobs. Both earned enough off the hobby to see a business opportunity, and opened their stores. And, both are in their mid-twenties—younger than their core customers. But some of Save Point’s most ardent customers are, surprisingly, even younger. Nineteen-year-old UNC Charlotte student Shay Marceau drops on the counter an armful of games and controllers. She’ll trade them for store credit. “I’ve probably been in here three times this week, and it’s only Thursday,” says Marceau. Donovan Winslow and Griffin Edwards, both high school juniors, collect old systems. At 17, they’re younger than most of the many video game consoles they own. “I own the [Nintendo] 64, Super Nintendo, Gamecube, [Playstation] PS1, and PS2. I got most of them here,” says Winslow. “I have a Dreamcast, a Genesis, two Gamecubes. I have a Wii, PS2, four Gameboys. I go to a lot of flea markets,” says Edwards. The bad stuff seems to hold its own fascination--at one point, Hamm searches $1 bin for an old Sega CD, containing songs from popular 1990s bands used in video game commercials. But, the almost universal favorite is the Legend of Zelda. A game and series focused on open-ended exploration that psychologist Scott Rigby says was before its time. 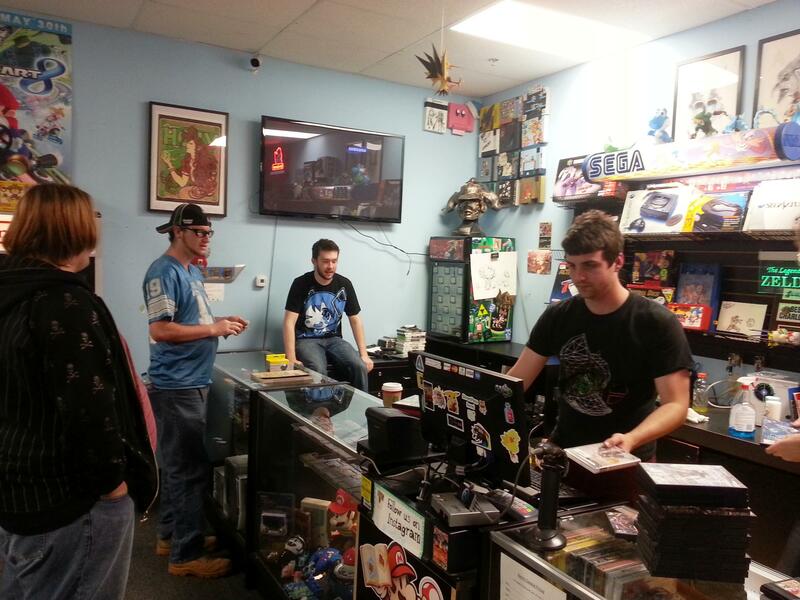 There’s a sense of community here—many of the Charlotte-area stores offer tournaments of both old and new games; and the students talk about getting together in their dorms or homes and exploring the old games together. Rigby suspects this is the other side of the retro game movement. He likens it to music lovers who search out formative bands. Rigby says it’s never going to approach the billions of dollars in revenue the current industry generates, but as long as that industry is growing, so will the retro niche.